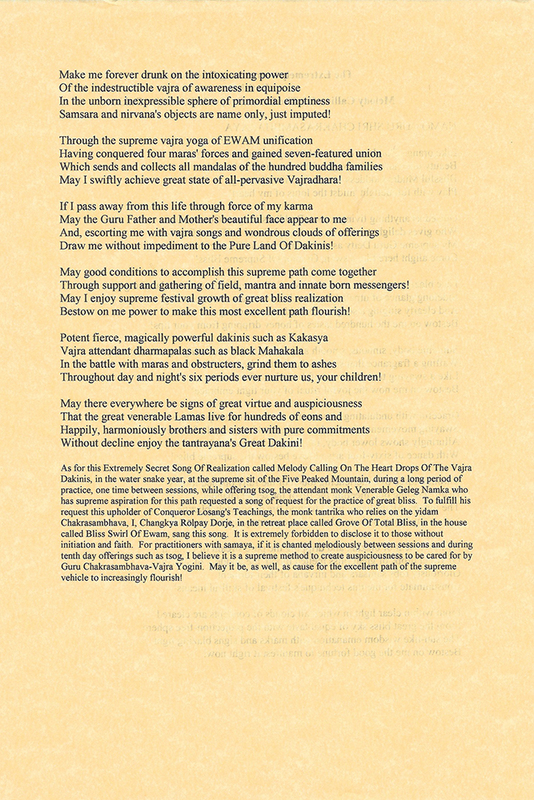 This is very powerful prayer to Heruka Chakrasamvara written by Changkya Rolpai Dorje or one of the previous incarnations of His Holiness Kyabje Pabongka Rinpoche. 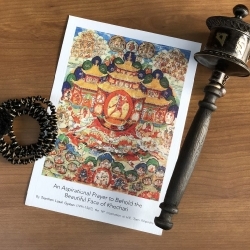 This prayer can be done daily or as and when you like in order to create a closer connection to Heruka and Vajra Yogini. 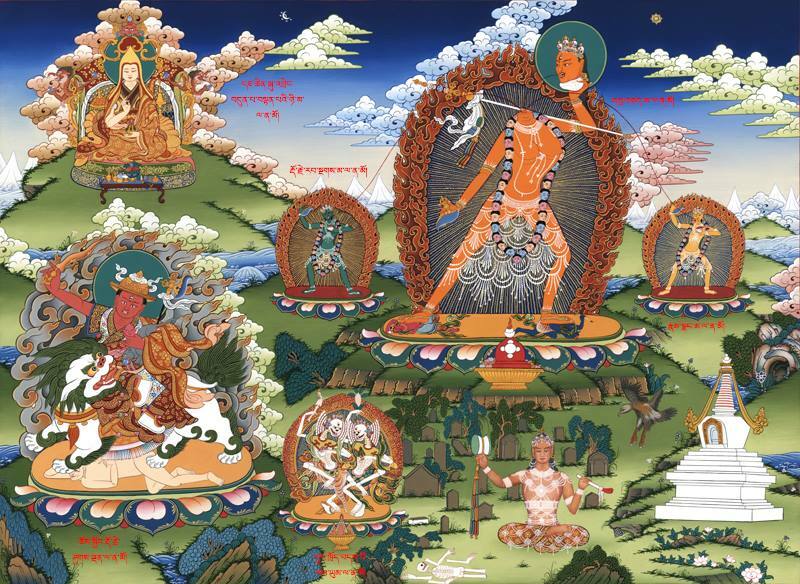 This prayer can be done to generate the merits to achieve the results of engaging in their tantra and also entering the real Kechara Paradise. Beautiful. 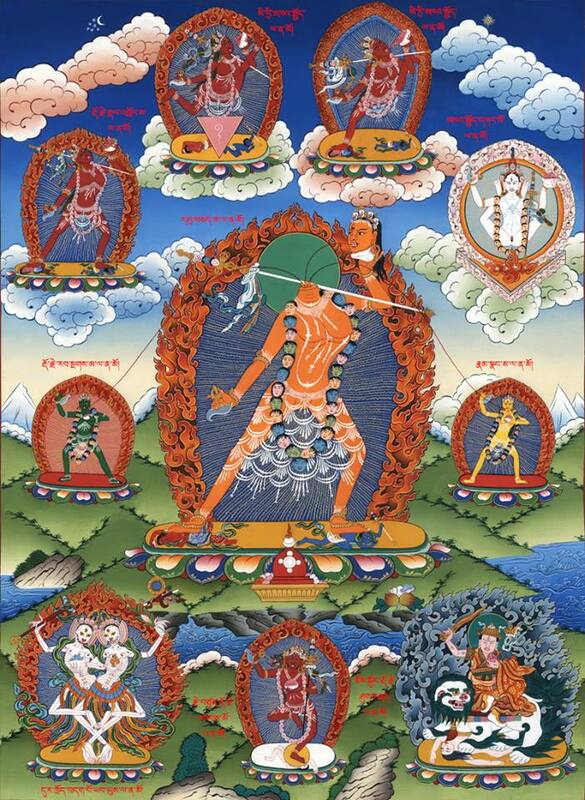 Since Buddha taught the Heruka and Vajra Yogini path to enlightenment, many thousands of beings have gained enlightenment, attainments, Kechara Paradise or just a higher rebirth from doing the complete practice of this. 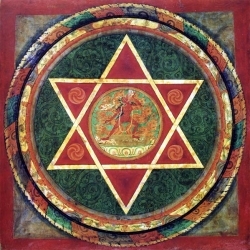 In order to practice higher yoga tantras such as Heruka and Vajra Yogini, we must be very grounded in the foundational practices such as 50 Verses of Guru Devotion, Lam Rim, Lojong, Three Principle Paths and it would be good if we have finished the 100,00 minimum of the preliminary practices (Vajrasattva, Guru Yoga, prostrations, Refuge, Mandala, water offerings, etc). 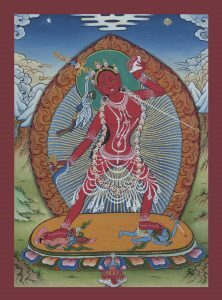 To enter the path of Heruka and Vajra Yogini without being grounded and solid in the foundational practices, then it would be difficult to find success. 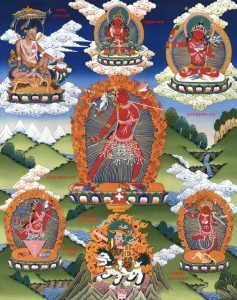 If we are grounded in the foundational practices and we enter in Heruka and Vajra Yogini practices, we can gain high attainments, or enter in Kechara Paradise with our very bodies at the time of our death and or full enlightenment. This is the path that is most recommended by our lineage gurus. To recite the prayers daily helps us to create the affinity to receive these practices in the future. Reciting these prayers from the heart will create the causes to be close and protected by Heruka and Vajra Yogini. Play with full delight ‘midst the lotus of my heart! Come alight here like a swan, Grantor of Supreme Bliss! Bestow on me the hundred tastes of honey dripping from your lips! Bestow on me now the joyful ritual of your tight embrace! With dance of sixty-four arts of love bestow the supreme bliss! Satiate my being with wonder of the supreme youthful maiden! Consummate for me this technique’s festival of skilful means! Bestow on me the good fortune to manifest it right now! 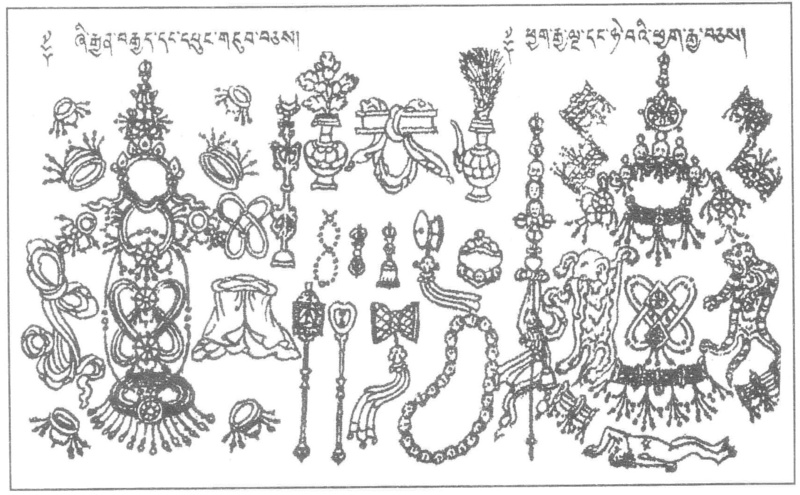 Samsara and nirvana’s objects are name only, just imputed! 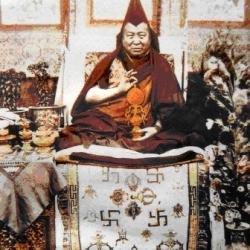 May I swiftly achieve great state of all-pervasive Vajradhara! Draw me without impediment to the Pure Land of Dakinis! 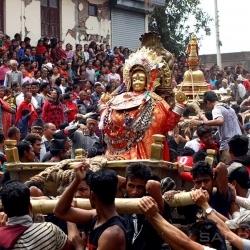 Through support and gathering of field, mantra and innate born messengers! Bestow on me power to make this most excellent path flourish! Throughout day and night’s six periods ever nurture us, your children! Without decline enjoy the tantrayana’s Great Dakini! 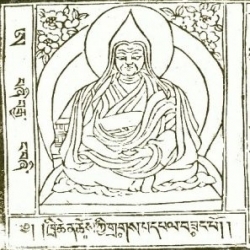 As for this Extremely Secret Song of Realization called Melody Calling on the Heart Drops of the Vajra Dakinis, in the water snake year, at the supreme sit of the Five Peaked Mountain, during a long period of practice, one time between sessions, while offering tsog, the attendant monk Venerable Geleg Namka who has supreme aspiration for this path requested a song of request for the practice of great bliss. 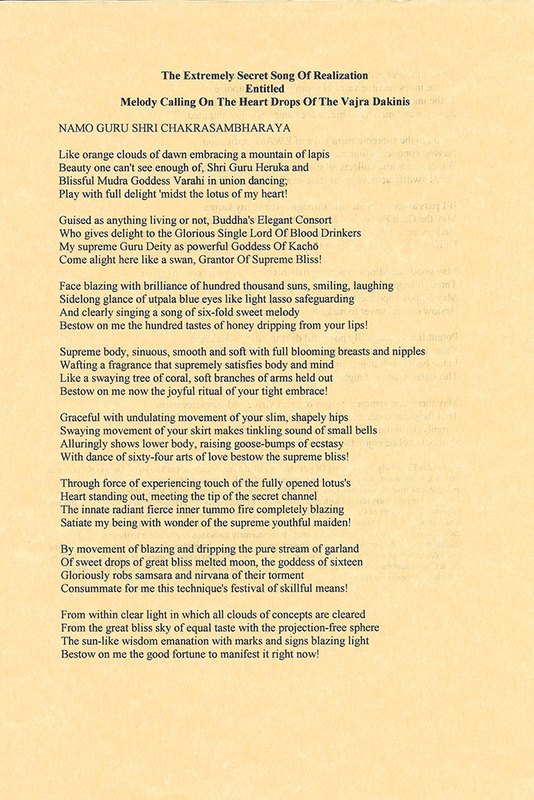 To fulfil his request this upholder of Conqueror Losang’s Teachings, the monk tantrika who relies on the yidam Chakrasambhava, I, Changkya Rölpay Dorje, in the retreat place called Grove of Total Bliss, in the house called Bliss Swirl of Ewam, sang this song. It is extremely forbidden to disclose it to those without initiation and faith. 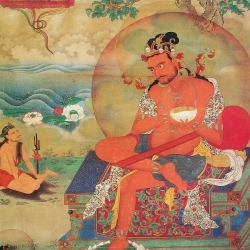 For practitioners with samaya, if it is chanted melodiously between sessions and during tenth day offerings such as tsog, I believe it is a supreme method to create auspiciousness to be cared for by Guru Chakrasambhava-Vajra Yogini. 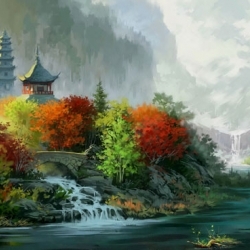 May it be, as well, as cause for the excellent path of the supreme vehicle to increasingly flourish! Thank you Rinpoche for the sacred song of realisation for us. 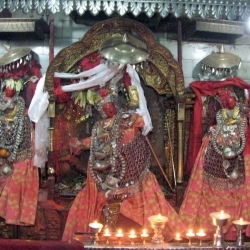 Its enable us to create and have a connection to Heruka and Vajra Yogini. 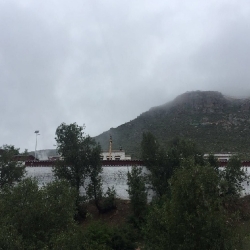 do you Tibetan version of ? 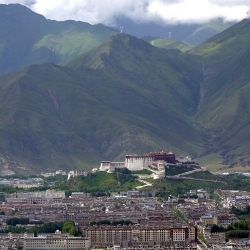 my lama will visit my city, I want to get oral transmission from him. Thanks! As is always expounded in Buddhism, there is no such thing as a coincidence. 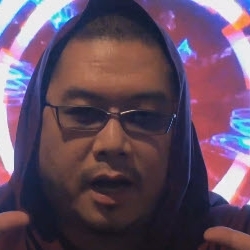 So, I guess, I can safely assume that even though one may not have initiation but if one has enough faith, then, it is permitted for one to read the prayer to create connection with Heruka Cakrasamvara. 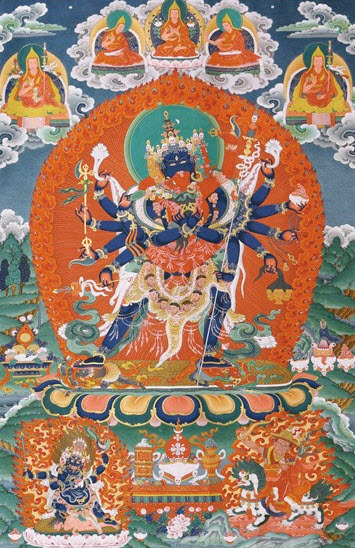 What is even more important is that it will create cause for us to receive the initiation into the Heruka Cakrasamvara practice. 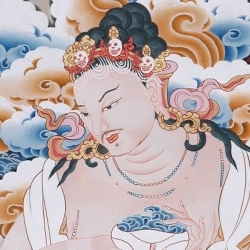 Thank you, Rinpoche for making this prayer available to all who come across this article and be drawn to the read the article and especially the prayer. 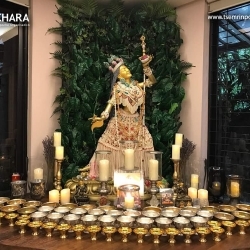 Thank you Rinpoche for connecting us to the Queen of Samsara, Vajrayogini via this prayer. do you have Chinese version of this secret song? if you do, please send me a copy! thanks a lot! Thank you for sharing such sacred prayer. 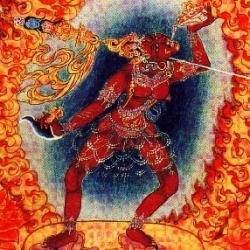 Rinpoche is so kind of to share all kinds of ways for us to connect with the tantric buddha Vajrayogini. 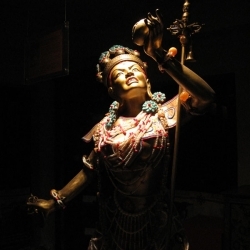 In Kechara, we all hope to be able to receive Vajrayogini’s initiation and go to her pure land when we pass on. I had added this prayer to my sadhana as well. 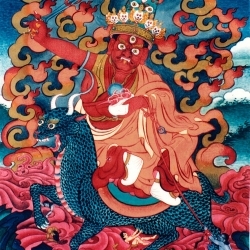 Although I do not know very well about Heruka but I appreciated that Rinpoche has shared this prayer is to enable us to generate the causes and merits and have close connection to Heruka and Vajra Yogini. Thank you Rinpoche for your compassion and always think how to help and guidance us to achieve the attainments and get out from the samsara. Will be added to my sadhana. I bow at your feet Rinpoche for sharing such sacred teachings. 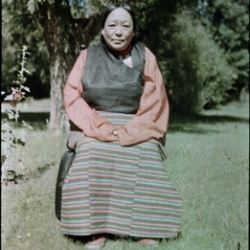 Wow thank you dear Rinpoche for this sacred secret treasure song of realization. 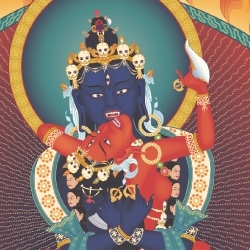 Thank you Rinpoche for your compassion in us degenerates by publishing this and allowing us to read this prayer to connect with the blissful Heruka and Vajrayogini…. hoping that we may be able to one day be worthy of her sacred nectar. 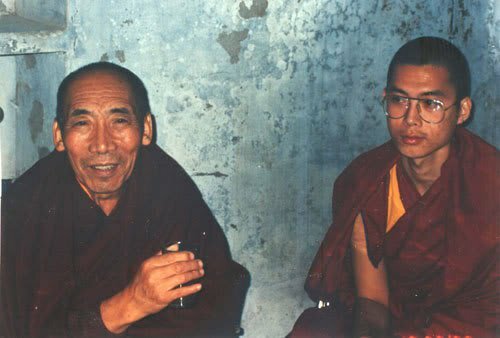 I know Rinpoche is planting seeds in us and Rinpoche has been doing so since day one I met Rinpoche, it has been consistently consistent in the practices we should focus. 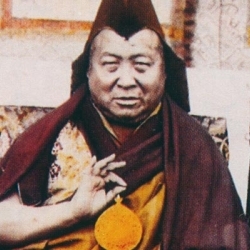 And as a real genuine Lama would, Rinpoche’s focus has always been the Dharma, to skilfully pass it on to us, and the deep concern for our final journey. Indeed we are vere fortunate… thank you Rinpoche. Thank you Rinpoche for the above prayer. It is said that it should not be revealed for those who do not have initiation or without faith. Looks like now we have generated a little bit of merits to have this revealed to us. Thank you so much. I have recited this prayer as I read it for the very first time (although it’s said that this is a song). 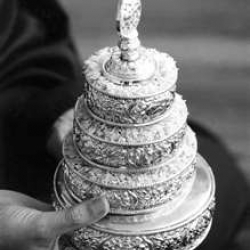 May this be the fulfillment for many to be able to enter the supreme path to Enlightenment.